5.3 What nanometer to hit which photosynthesis? This page is in group Hobby and will become a blog note about my little aquarium. It has been a year since I introduced fishes to it, so it’s about time. Camera: Panasonic Lumix DMC-TZ100. The main picture above is shot on a tripod 2.4 m away under rather dark conditions since the aquarium is behind a carpet to try to remove reflections. Camera zoomed: lens focal length 34.6, f 5.1, t 1/25, ISO 1600. Then both pictures have been set up in Apple Pages and exported as PDF. Then converted to JPG and scaled to 900 and 4096 (press picture). Most of the recent pictures in my blogs have been made like this, even the picture here. 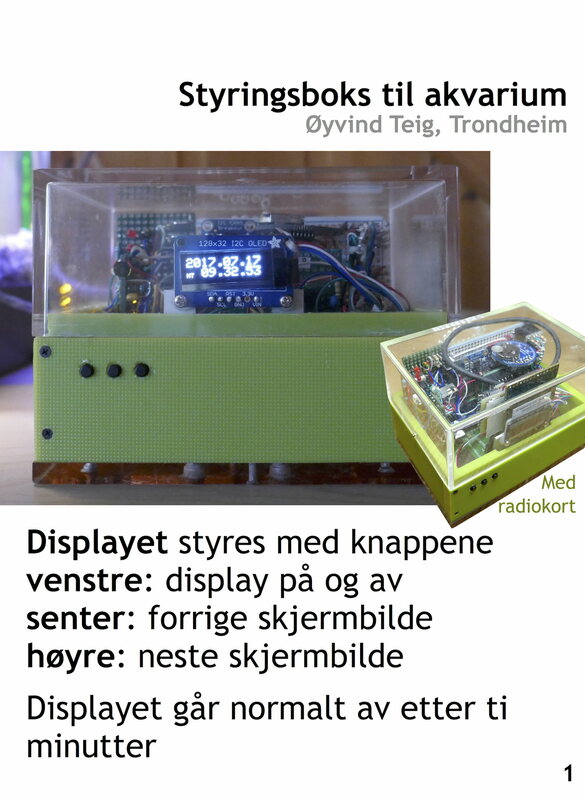 Observe that I am an electrical and computer engineer plus hobby maker, not a biologist. But I love aquariums for the beauty and tranquility of them. I haven’t forgotten the fishes in all the tech-speak below. A year’s experience with nutrition of fish and plants, aquarium salt, aquarium GH salt, tap water is quite ok, filtering and air, plus LED colour temperature and photosynthesis. Plus life and death.. The regulator does 25 degC. This is probably OK for all. The living creatures I have in the tank, the regulator’s range (we do have a night temperature lowering of four degrees (only electrical heating, so that’s possible), and how hot it may be in our house. Maybe I should raise the normal temperature? The aquarium has lighting with a total of 15.25W from mixed types of LED strips with 171 LEDs and more than 1210 lm (coloured strips unknown light power (lumen, lm)). 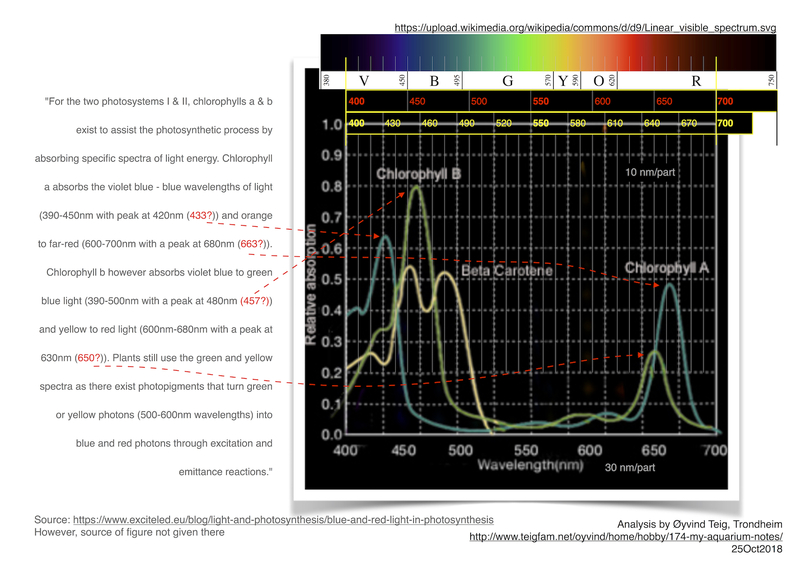 – Since different photosynthesis regions basically are a matter wavelengths (below), I should probably be around blue (450 nm) and red (660 nm) for good “PAR photosynthesis” (Photosynthetically Active Radiation, see Wikipedia below) and gpn mag ). Or as often seen, mostly in the 650 nm to 680 nm red range. – So I must only hope that in this jungle of mostly colour temperature in Kelvin (that’s what they give me (plus CRI, see below)) that some of the wavelengths that are required would appear. More theory in this note later on. LEDs 1, 2.1 and 2.2 are “high intensity” 100000 hours from Inspired LED (but 25000 hours to 90%? I don’t know). I have troubled with three other LED combinations, none with explicit red and green, and one with probably too white light. Therefore I added LEDs point 2.4, which are on a strip from North light (Clas Ohlson). The above LEDS with 2.3 instead being a 1.4 W 6000K probably was too white (even with the colours), nothing but algae grew! The present combination is new on 19Oct2018, so I’ll keep you posted. 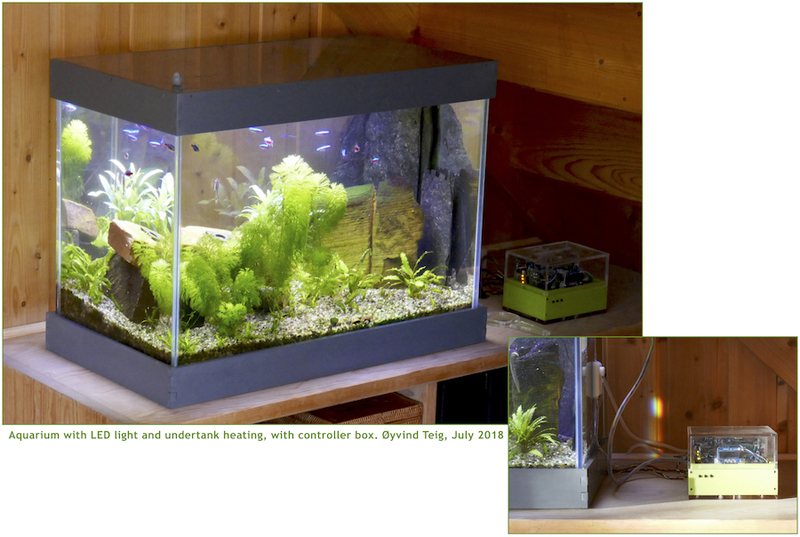 (Fig.1 above shows the aquarium before introduction of the coloured strips and with less white intensity.) I know some say that green is for colouring only, but my web research shows that green is in fact also needed (here). Besides, it needs to be there to make the sum white-ish when blue and red are present. I am now testing plant types more specifically, to see if I have any luck (combined with nutrition and light intensity). Here is some comfort as to why LEDs are difficult, see . As seen above I have three light channels that I control with three SW-driven PWM (pulse-width modulation) outputs. They basically do 1/3, 2/3 and 3/3 individually for each channel, with soft light changes that lasts for about seven seconds for every step. When 3/3 a channel is all on 100% of the time, not even a short pulse left. Code is written directly in xC. PWM frequency is 222 Hz (1500 ms period) and FETs would pull the LEDs that have a common 12V. This flickering is invisible for me, by a large margin (I could see 55 Hz), and should be ok for most biological life . EMI noise is avoided by limiting the rise and fall times of each power FET transistor’s output pull. Aside: I see that commercial LED lights typically are controlled by PWM, 0-10V signal or the DALI protocol. See Wikipedia (below). I had no criterion to do anything standard, but it’s nice to see PWM mentioned. What nanometer to hit which photosynthesis? Excite Lighting GmbH has quite some interesting notes about LED and photosynthesis. I think the company mainly is in the plant-above-water business, but I am not certain how much this matters. However I did read “light spectrum which applies to all plant species and in all growth cycles” on a product page, so I guess that might include aquarium plants as well. Disclaimer: this is all based on me hitting right with the positioning of the 700 nm point. There is a figure also at Wikipedia (here) that is even less accurate than the above. Where this takes me in the search for simple(r) LEDs for my aquarium is difficult to conclude. However, just by coincidence I found a four year old paper (2012)  that shows that LEDs are indeed possible. Excite also shows this, I guess. But “good” LEDs come at some cost. And is this for my thin light fixture that I guess could allow at max 20W?